If you were negligently injured in an accident in Massachusetts, we can help you. Our office since 2005 has recovered millions of dollars in settlements for our clients. If you need a Boston personal injury lawyer, we can help you. Becoming injured due to someone’s negligence can have a big impact on one’s life. Besides dealing with physical pain, there may be medical appointments to attend, and medical bills and lost wages may be mounting. We are Boston personal injury lawyers that can help you. You may be feeling angry and confused. Since 2004, we have been helping accident victims – just like yourself – recover fair and just settlements. It is important to have an attorney when dealing with an insurance company. These companies are driven to maximize their profits. That in turn means paying injury victims as little as possible. Insurance companies are best able to carry out that goal when people don’t hire representation. When you hire a lawyer for your case, you are signaling to the insurance company that you expect and demand a fair settlement. Our law firm handles only personal injury cases. That’s been the case since we first opened our doors. We believe focusing on this one area of law allows us to give 100% of ourselves as lawyers to stand and up and fight for the rights of injury victims. This laser-focused attention to only injury cases also allows us to remain current with all developments and changes within the ever-changing field of Massachusetts personal injury trial practice. We work for you. We know your case is important and that by hiring us, you are putting your trust in us. We want to validate your trust. That is what constantly drives us to achieve for our clients the best possible outcome for every accident case we handle. As your attorneys, we are passionate about fighting for your rights, and getting you fair compensation. Also, unlike many law firms, we provide personal representation. At our office you get a team of professionals working for you. You will get to know all of us because we will all be working on your case. This team-oriented approach is designed to produce the best outcome for your case. This area of law concerns injury and death caused by negligence (the legal fault of another person or entity). It includes motor vehicle accidents, construction accidents, slips and falls, dog bites, wrongful death, and all other injury cases. Personal injury law is designed to financially compensate injury victims for all damages and losses caused by the negligence of someone else. This is a branch of civil law, as opposed to criminal law. Hire us as we will come to you if that is more convenient for you. It depends. Is the other party at fault? Are you at fault? Did you sustain injuries arising from the accident? If liability can be established against the other party, and you were injured, then you probably have a case worth pursuing. When you are finished with your medical treatment is a good time to open a dialogue with the insurance company about a possible settlement. Some cases take months, some take years, but the average case takes roughly 6 months to settle, from the date of the injury. Most Massachusetts personal injury cases have a 3-year statute of limitations, but some have a shorter, or longer limitations period. If you think you have a case it is best to take prompt action to hire a qualified Massachusetts personal injury lawyer. Each case is different, but factors that are considered in case valuation are whether or not liability or fault can be established against the other party; how much your medical bills total; how long your medical treatment lasted for; whether you lost wages; whether you suffered any permanent injuries, etc. Personal injury settlements are not taxable under either Massachusetts or federal law. The vast majority of cases do settle, but sometimes lawsuits are necessary. Even after a lawsuit is filed a case can still settle. Trial is always a possibility, but it is really only a remote possibility. We are lawyers with experience going to court and trying cases in front of juries. Negligence is failing to act reasonably in a situation and causing injury to someone as a direct result. If someone negligently caused injury to you, you are entitled to receive financial compensation. We do not collect a legal fee unless we recover compensation for you. That is called a contingency fee. Bottom line: we only get paid if we win your case. Here are some important steps you should take to protect your rights. What is best to do after the accident really depends on the type of case. First, if necessary, you should immediately seek medical treatment. 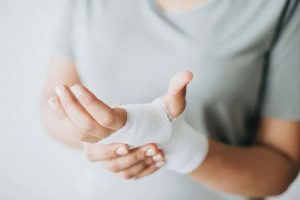 It’s important to understand that with many types of injuries, a person may feel like it’s not serious and that they will get better in a few days, when in fact the injury is far more severe than first believed. You should especially seek treatment if a head injury has occurred. Additionally, you should always carefully follow the advice of your treating physician. If you’re told, for example, not to work or not to engage in specific types of activities, then please follow this advice. Not only is it important to follow medical instructions for healing purposes, but if litigation is necessary, it will be important to show that you carefully followed all medical instructions you were given. Regardless of the type of accident, it is wise to take photos after the accident in order to visually document scene of the accident. Take photographs too of your injuries – as soon as possible after the accident. If there were any witnesses to the accident, collect and keep their full contact information. The more proof that can be made concerning accident causation and the extent of injuries, the better your case will be. For Massachusetts car accident cases, contact your car insurance company, but don’t speak with the other driver’s insurance company. Typically, an insurance adjuster from the insurance company of the other driver will call and try to make you feel like you must provide a recorded statement. You do not have to give such a statement. Instead, politely inform the adjuster that you are represented by legal counsel (or you intend to be represented by legal counsel). Lastly, contact an experienced Massachusetts personal injury lawyer to ensure your rights are protected and that you receive full compensation for your injuries. Once you have hired us as your legal counsel, the first step is for us to investigate what happened, and who is responsible. Investigators may be utilized to secure witness statements. Letters of representation will be sent to insurance companies, and if necessary, to the property owner where the accident happened. Requests for medical records and medical bills will be sent to your medical providers. Accident photos and injury photos will be secured. Once we have obtained proof of lost wages, as well as your medical records and medical bills, a settlement demand package will be sent to the insurance company. The insurance company generally has 30 days from receipt each the demand package to make an offer. Our office and the insurance adjuster will enter into settlement negotiations. If a settlement is reached the case will be over. If a settlement is not reached a lawsuit will need to be filed. If the case does not settle with the insurance company, then a lawsuit will be filed. Depending on the size of the case, it will be filed in either District Court or Superior Court. A large part of the litigation process is referred to as discovery. Discovery largely consists of interrogarories, requests for production of documents, and depositions. The case very well may settle during litigation. If it does not, the case will go to trial. Increasingly, mediation and arbitration are becoming popular methods of case resolution. These are forms of alternative dispute resolution (ADR) that are available options to use to resolve a personal injury case without going to court. Mediation is a non-binding process in which a mediator aims to get the parties to mutually agree on a settlement number. Arbitration is a binding process whereby the arbitrator makes a binding ruling on the parties. Our office cherishes our role as advocates for the injured against insurance companies that try to minimize their rights. We are a law firm that pursues maximum compensation through settlement, mediation, arbitration, or trial. One of the hallmarks of any law firm are the results they obtain. Our results through the years speaks to our singular focus: achieving the best possible outcome for each client we represent. In addition, we are tremendously proud of the consistently positive reviews we have received over the years from past clients. These reviews reflect the relentless dedication we give to each client and the strong, close relationships we have forged with our clients as a result. Why Should I Choose Your Office To Represent Me? We know our clients have busy lives. We also know it is hard for people to come to, and find parking in, downtown Boston. We therefore will come to you for your free consultation to make it easier for you. At our office we believe you are not just a file, but a human being with a unique story. We like to get to know our clients. Through the years we have really gotten to know our clients, which is important to us. We believe clients should be kept updated on developments with their case. This helps you to stay informed on case progress while you focus on healing from your injuries. We believe our clients want, and deserve, aggressive representation. We are a results-oriented firm that believes results are fully maximized by a decisive and aggressive legal strategy. We have years of experience with all types of personal injury cases. We represent victims of all types of Massachusetts car crash cases including rear-end accidents, head-on colisions, illegal left-turns, side swipes, and all other auto accidents. Our office takes on Massachusetts workers compensation cases. We have years of experience representing injured cyclists. Motorcycle accident victims very often suffer serious personal injuries from accidents. We advocate for injured motorcyclists, and promote the rights of motorcyclists everywhere to ride safety. Due to their size, trucks cause serious injuries when they are negligently operated. Learn today what your rights are if you were injured in a Massachusetts trucking accident. We stand up for for the elderly that have been abused and neglected at nursing homes. Construction workers face dangers all the time at work. Find out how we can help if you were injured on a Massachusetts construction site. We fight to hold property owners accountable for their negligence. Massachusetts winters are fraught with snow and ice conditions, which leads to many kinds of weather-related accidents. Our office regularly helps people involved in snow and ice accidents, and we have successfully settled many of these accident cases through the years. Pedestrians getting hit by cars happens frequently in Boston. These scary and unfortunate accidents create many questions and challenges for the victim. We can help you with your case. We help guide people that have been denied social security disability (SSDI) benefits. Given the number of people it transports, the MBTA sees its fair amount of accidents each year. We are experienced MBTA injury lawyers. Broken bones commonly arise from personal injury accidents. These injuries can be especially painful and sometimes they require surgery. We are experienced with these cases and welcome the opportunity to help you with your broken bone injury case. We take on all TBI (traumatic brain injury cases) cases that result from personal injury accidents. Burns can result in permanent injuries. Having experienced representation on your side can help in seeking full and fair compensation for your injuries. Man’s best friend can cause serious injuries when they attack and bite innocent victims. Let us help if you were injured by a dog bite and need representation. Serious injuries can result when elevators and escalators malfunction. We can help with these cases, too. Our office has extensive experience handling claims for minors that have been injured due to someone’s negligence. Children can be especially vulnerable to injury. We have extensive experience helping minors (and their parents) present and navigate these claims with insurance companies. We are parents too and we know the experience of having a child become injured can be terribly difficult to experience. Unfortunately, toddlers and children can become injured at daycare facilities. If you need help with one of these claims, we can help you and your child. Read our 5-star Google reviews, and our Yelp reviews. We are established and proven. Contact us now to get started. When you call you reach me directly, even on nights and weekends. Find out more about us and how we can help you. We go above and beyond for our clients. Let us show you how. We represent injury victims in Boston, MA and serves clients throughout Massachusetts including Cambridge, Somerville, Chelsea, Everett, Malden, Revere, Lynn, Lawrence, Andover, Newton, Quincy, Medford, Plymouth, Worcester, Fall River, Bellingham, Weymouth, Natick, Stoneham, Wakefield, Reading, Wilmington, Burlington, Lynnfield, Saugus, Peabody, Danvers, Middleton, North Andover, North Reading, Woburn, Canton, Stoughton, Randolph, Dedham, Norwood, Mansfield, Taunton, Brockton Suffolk County, Middlesex County, Essex County, Worcester County, Norfolk County, Plymouth County, Bristol County and Barnstable County.